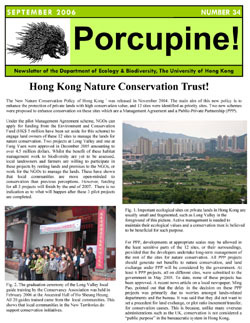 logy & Biodiversity, The School of Biological Sciences, The University of Hong Kong. Porcupine! is suspended until a further notice.